My neighbor and tenkara guide Allen Seagraves just came over to show me a fish he had just caught out of Boulder Creek. I figure this should definitely get you pumped for the Tenkara Summit happening this weekend. Allen is one of the tenkara guides in the Tenkara Guide Network, and if you’re wondering, he’s still available on Friday. He was using the Sato, which has been sold out for over a month but is coming back into our stock this week, as well as a tenkara fly. While on Saturday the event mostly consists of presentations and demos, Sunday is a free and not organized fishing day. 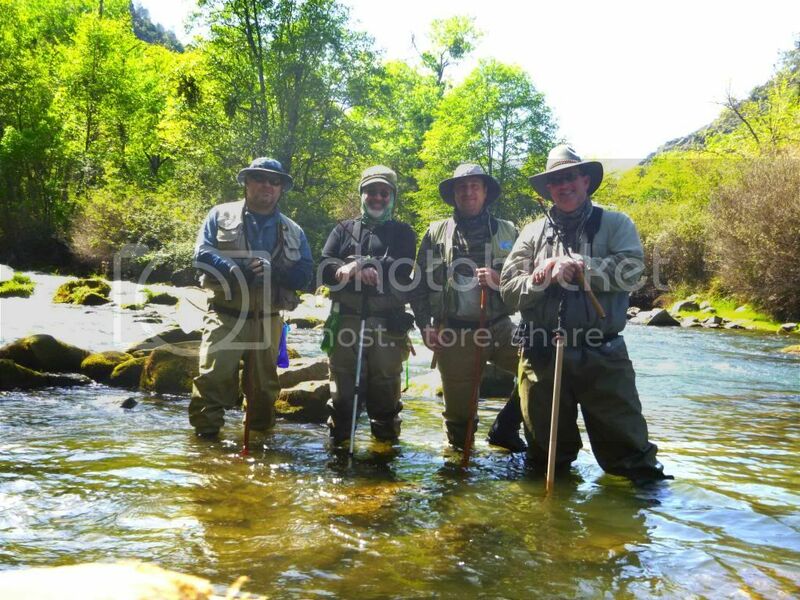 We will be encouraging everyone present to fish up and down Boulder Canyon, and throughout the day a group of experienced tenkara anglers will join you in different parts of the creek to help with any questions you may have. This will be a great weekend. Hard to believe, but the Tenkara Summit is just one week away! We are expecting over 160 people to attend. If you haven’t registered yet, please do so here. We will also take on walk-ins but would appreciate pre-registration to ensure we have enough food for everyone. This year we are bringing Dr. Hisao Ishigaki as the keynote speaker and to provide casting and fly-tying clinics along with a range of tenkara enthusiasts who will be available to teach anyone the art of tenkara. While this is not a commercial event, we are bringing a few vendors with products that the tenkara community will appreciate having access too. In addition to a full booth hosted by Tenkara USA with Tenkara Summit shirts, some very cool beer pints and a few other goodies, here’s a list of the vendors you can expect to see at the Tenkara Summit this year. Have you heard of the Vagabox? In 2012 one of the users of our forum, Acheateaux, had this idea of creating a traveling tenkara fly box. The Vagabox. The box would contain some flies, and be passed from angler to angler in an itinerant fashion.